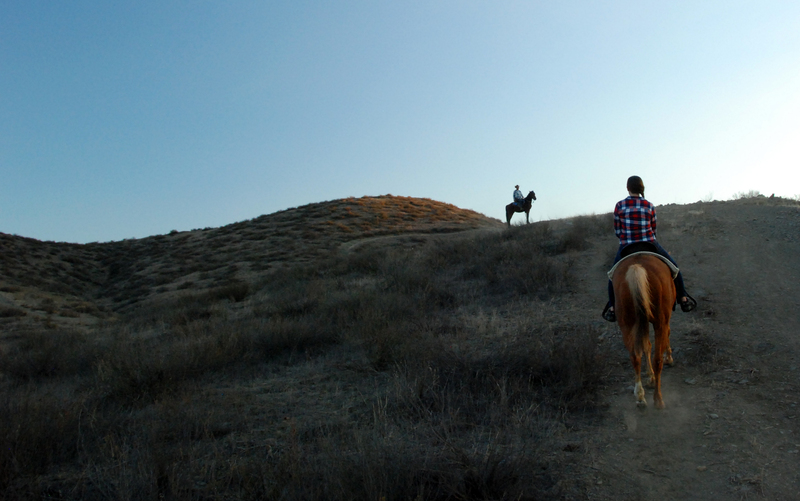 Ever wonder what it would be like to ride horseback through the mountains? 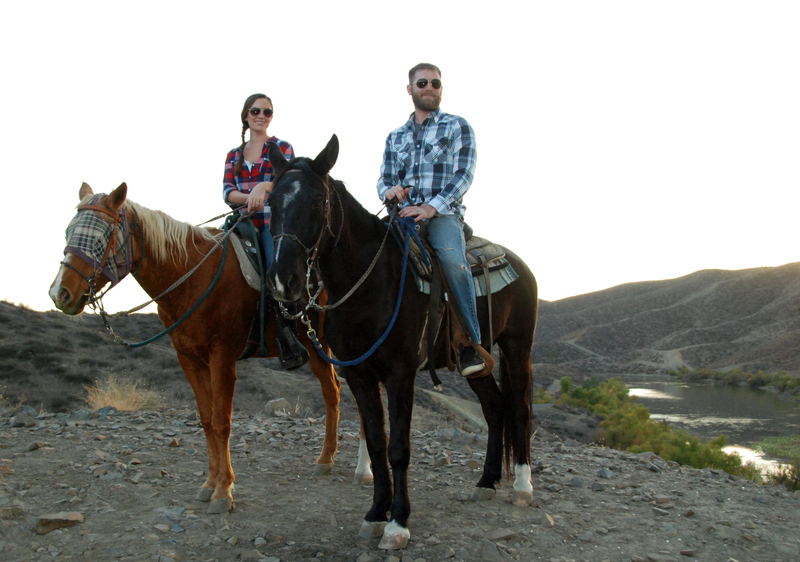 We had that opportunity when we visited Rancho Bravo in Perris, California. If you are in southern California this is the place to bring your loved one and hit the trails for a romantic experience. After a beautiful drive from the Thousand Trails Wilderness Lakes RV Resort we arrived at the Ranch. We were greeted by a friendly Velociraptor looking Emu which we got to play with. Danielle and I haven’t been on a horse since we were kids. I figured it looks so easy on John Wayne movies how hard could it be? Well luckly they walk you through how to control the 1,000 pound beast so you have a safe and enjoyable ride. Alex was our instructor and took great care of the group. He’s a real professional and made sure everyone was safe and confident. Since he had such a great personality, it ensured everyone would have a blast. They have a big selection of horses and once you’ve got your horse it’s time to mount up and hit the trails. Right away Danielle’s horse (Strawberry Pineapple Smoothie) went after some water and then each horse followed suit. When you hit the trails they take you into the BLM land. You’ll see a flowing river that feeds into Canyon Lake. I was really surprised at how agile the horses were. They can charge up a hill and turn on a dime. I really enjoyed going through the woods. The foliage was stunning as we trotted through on horseback.